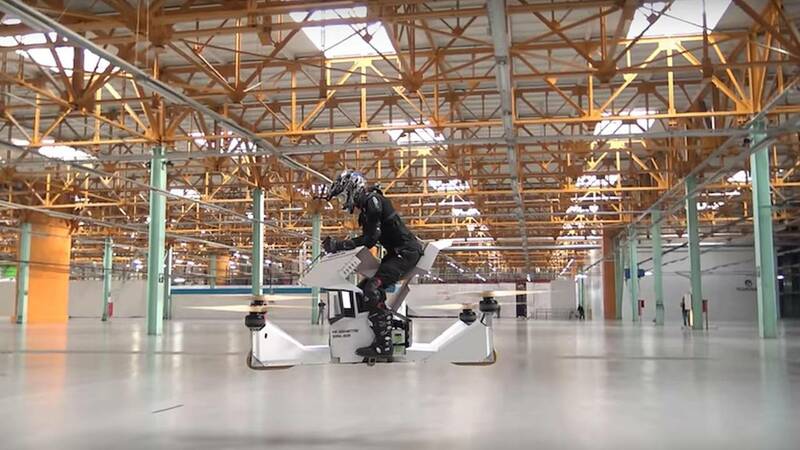 The hoverbike – a motorcycle that can fly – seems impossible, right? This Russian company is making it a reality. Remember the speeder bikes from Return of the Jedi? A San Francisco company with a Russian connection is working to make such a thing a reality. Hoversurf is developing the Scorpion, "a single-seat aircraft that rediscovers the art of flying and hovering, enabling a hi-tech quadcopter-based solution. It’s a unique electric-powered vessel combining a motorcycle seat with quadcopter drone technology bringing speed, agility, and stability of flight to the hands of amateur and professional navigators." 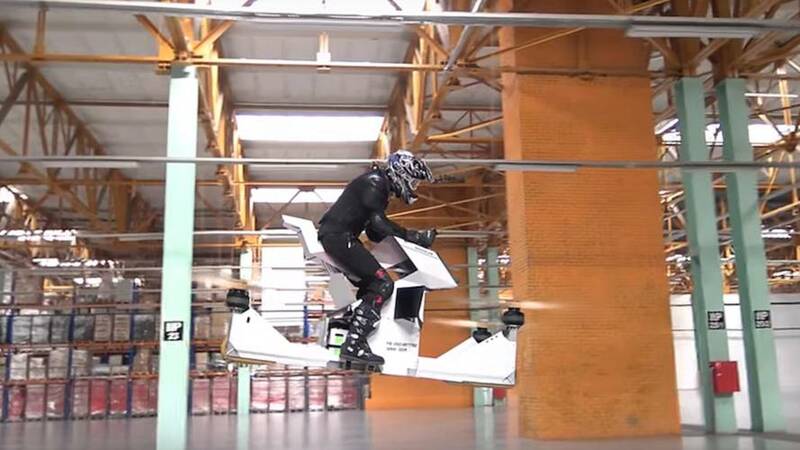 Hoversurf says it set out to make the hoverbike's size and ergonomics resemble that of a dirt bike, but, you know, a dirt bike that flies. “The machine basically surfs through the air by changing altitude and direction,” claims the company. As the above video shows, the riding position does replicate that of an off-road motorcycle, but adds the proximity of four high-speed wooden rotors at knee level. The Scorpion is designed to operate as either a radio-controlled drone or flown by a human operator. Why the Moscow builders decided to test the quadcopter indoors is something of a mystery; perhaps for fear of it floating away and getting lost in the woods? While the machine shows no signs of instability or difficult operation, the nearby roof beams appear intimidating. While the Scorpion has been built as the airborne version of an adventure bike, Hoversurf has shown interest in producing similar platforms for use as air taxis, delivery vehicles, terrain reconnaissance, geological exploration, and rescue/evacuation operations. And cargo drones; one version is designed for heavy lifting, with an airframe capable of picking up loads from 200 to 500 lbs. It seems we are about to witness a new chapter in the book of aviation history, and more than a few designers and engineers from the motorcycle industry are already involved.